George and Lance recently decided to celebrate George's 80th birthday by riding the C and O canal. A 185 mile bike path from Cumberland, MD to Washington, D.C. They were also gracious enough to share their story and write a blog for us! All of us love bicycling the hills and valleys of Vermont but occasionally it is adventurous to bicycle out of state. A unique place to bicycle is all, or part of, the historic 184.5-mile National Park C&O Canal recreation path, which was once the tow path for moving barges. The path parallels the Potomac River from Cumberland, Maryland to Washington D.C.
Logistically, the most challenging part is getting from Vermont to the start of the trail and then after the ride back home to Vermont. We wanted to use public transportation, so we took Amtrak to Baltimore and then a van to the start of the trail in Cumberland. 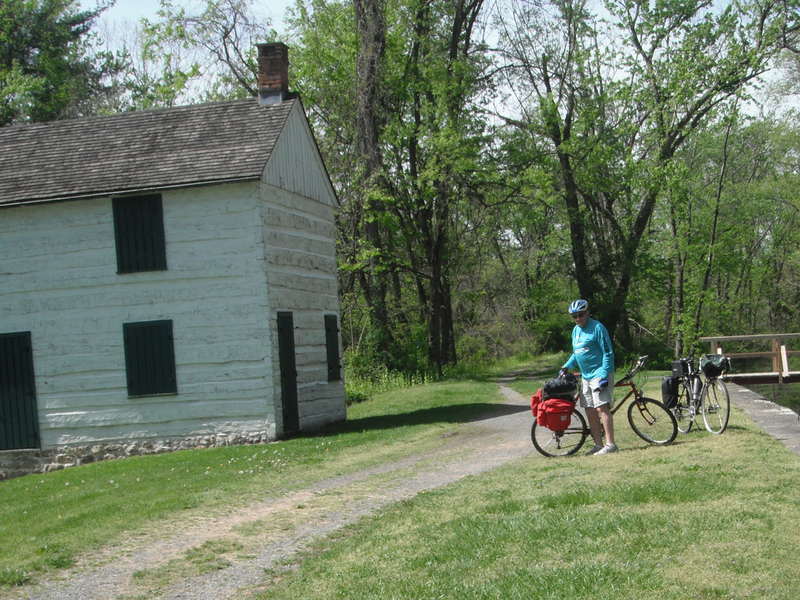 Because of the weather, trail conditions, tiredness and saddle sores, the two of us only did 2/3rds of the ride stopping in Harper’s Ferry, Virginia. We then took the metro to Washington and the People’s Climate bus back to Vermont although we could, of course, have taken Amtrak again. When using Amtrak, you have to be sure that the particular train you want to go on accommodates bicycles because not all the trains do. There are places to camp all along the trail. There are also picnic tables, port-o-lets, and water pumps. Except for the upper end there are also hostels, B&B’s, and motels that are in close proximity to the trail. Being early in the season we took it day by day. But in the busier season, one would want to more carefully determine where to stay. The hostels are the least costly in terms of a sheltered place. But if the rooms of bunk beds are full, they are not the most comfortable place to stay. The trail itself is very historic with some 75 locks. The old “lock houses” can also be stayed in, although they have no water or other facilities. In terms of bicycling, the trail is flat but still challenging. Much of it is like a Vermont Class 4 road with just two treads and these are stony, have root outcroppings, and are muddy after a rain. Much of the trail is also not very scenic with the river mostly flat and the banks tree covered, although there are some stretches with open fields on the sides. Being older, we averaged about eight miles per hour although younger people could certainly go much faster. 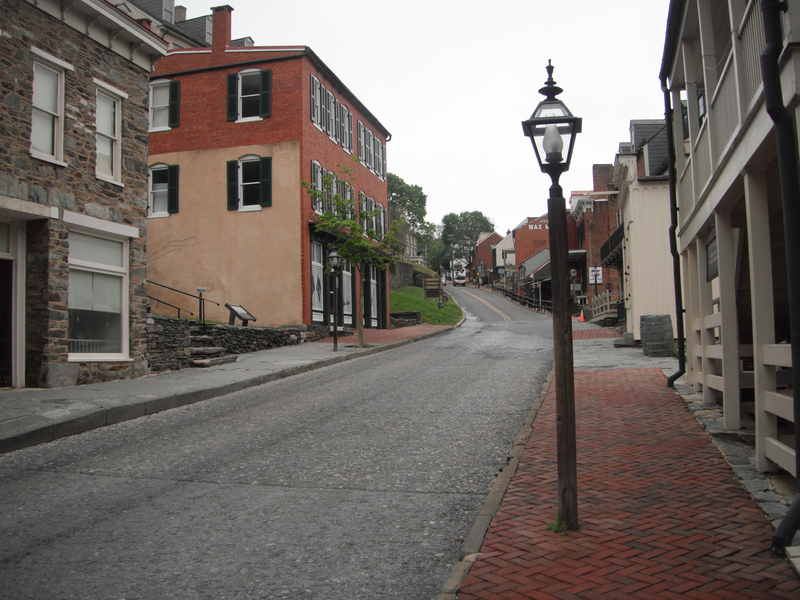 The most interesting part of the trail for us was the town of Harper’s Ferry. It is well worth spending at least a day there visiting the historic sites and museums. A big problem for us was “saddle sores.” They became so painful that it was difficult to ride the last part of the trip. Another problem was moving the bikes onto metro trains when they were crowded but we managed to do it. Be sure to take the elevator when moving from one level to another at the metro station. I actually fell backwards when trying to use an escalator. Another problem is to be sure your saddle bag and panniers are very securely attached to the bicycle. I lost a saddle bag and didn’t notice it was missing until it was too late to want to ride back. Also, be sure to have front and rear lights in case you need to ride at night. Many thanks to the Vt. Bicycle Shop for doing a great tune up before leaving for the trip. It really helped. Here is a Map of the Canal from the Cumberland, MD to Washington, D.C.